Blogging doesn’t take that much effort, right? Maybe it doesn’t for some people but I’m the kind of guy that will write multiple drafts and look at my post two or three different times before tossing up it here, The RedEye Wrigleyville Blog, or The Local Tourist. In an effort to stay active and share what’s going on in my life, I’m trying to write a quick post once a week highlighting what’s going well, where I’m struggling and anything else that’s dominating my time. 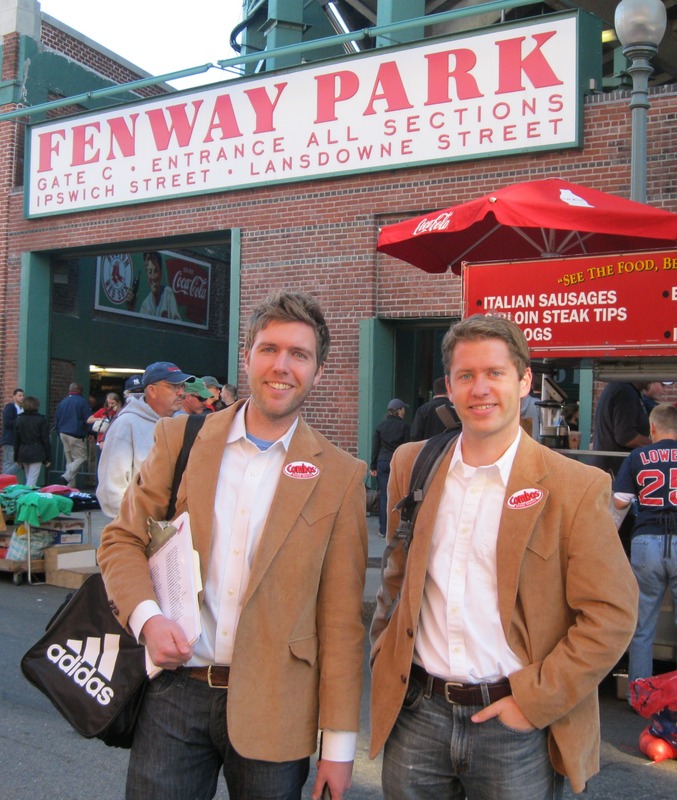 Sporting sweet COMBOS blazers in Boston. The last nine days have been a whirlwind. Earlier this year, COMBOS, the baked snack and a client, released the second annual America’s Manliest City Study – a tongue-in-cheek study that looks at hundreds of metrics to rank the top 50 cities in the US. Now a couple colleagues and I are traveling to 10 different cities and creating a video profile for the COMBOS Facebook page. This week we kicked things off by talking to folks in Chicago, Milwaukee and Boston. I don’t want give too much away about the videos and what you can expect, but end result will be a 2-3 minute video that will give you a good laugh. Traveling to different cities and talking to locals has been a blast, but it started to make other tasks, like picking up my dry cleaning, tougher to accomplish. However, I still managed to preview / write a review of Rockit Bar and Grill’s “Rocktoberfest” menu for The Local Tourist and the Wrigleyville Blog, attend a Johnnie Walker tasting and swing by “The Cell” for a White Sox game.